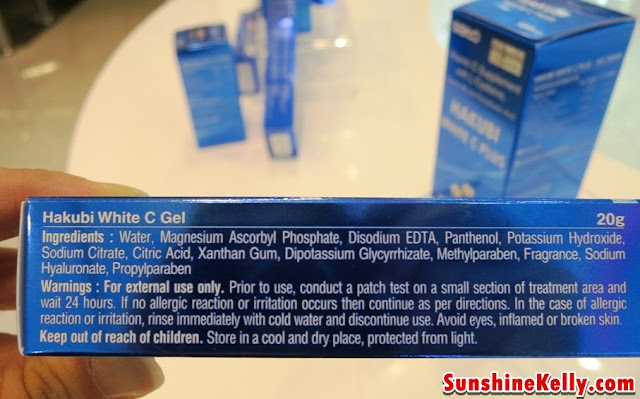 Hakubi White C Gel was recently launched and introduced in Malaysia. This product is best for pigmentation, dark spot or blemishes skin. I think some people with blemishes or acne skin or sensitive skin are allergy to Vitamin C, Licourice extract or citrus acid. I have attached the list of ingredients, so do check and ensure your skin has no allergy to such ingredients. • It tightens, purifies and conditions skin. It maintains a healthy skin. • It moisturizes and protects skin. • It prevents dry skin and acne. Its antioxidant effect prevents acne by suppressing the oxidization of fat. • The Licorice Extract or Dipotassium Glycyrrhizate in the gel acts as an anti-inflammatory agent to soothe irritation. • It conditions the skin by activating collagen synthesis. Hakubi White C Gel tube packaging is convenient for user and has a small tip to control the amount of the gel squeeze out. I only apply on my targeted area like those pimples scars on my chin and the light pigmentation on my cheek. Apply twice a day for day and night at the targeted area. The texture is not really like gel, its very fluid and clear or transparent color. After using this gel for almost a week I don't really see much different on the pigmentation or lightening effect. The pimples scars on my chin became a little bit less visible. Maybe I should use it for a longer time or better result should take the Hakubi White C Plus tablets as oral skin supplements. 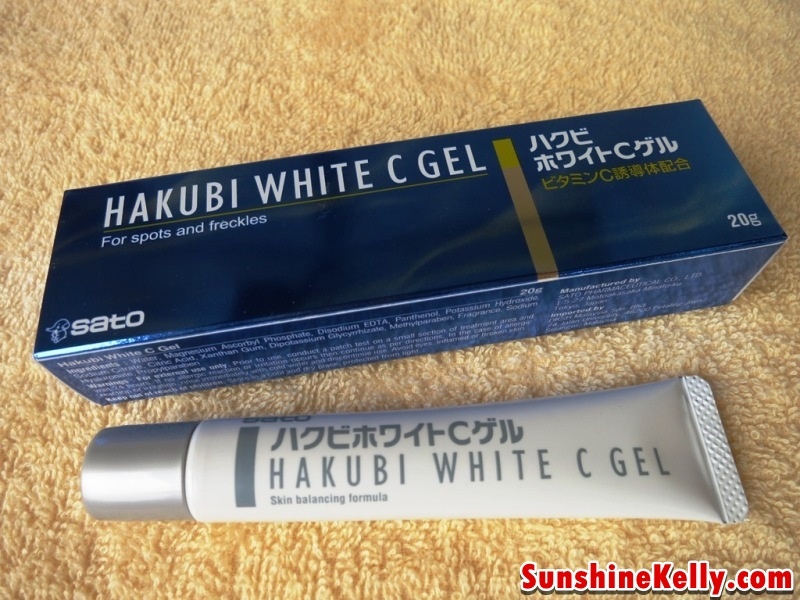 As for my skin when I use this Hakubi White C Gel (whitening products) it does not dry or cause any irritation or rashes to my skin.